"What are your plans for today?" If you are like me, you prayerfully try to plan your day. You make appointments with people in the future so you can address their needs, hear their concerns, or discuss issues and projects. But, we need to always live humbly, recognizing that none of our plans will be of value unless those plans come from the Father! 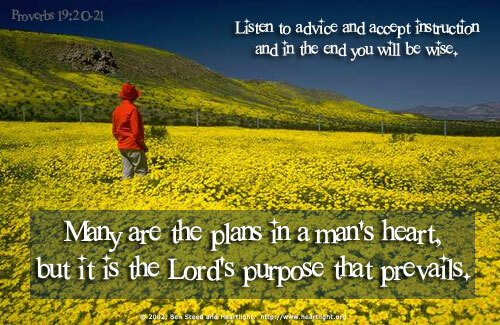 Holy God and righteous Father, please bless me as I seek to discern your will in my decisions today. I recognize that each breath that I take is a gift and that each success is because of your grace. Please use me to your glory and help me find your path for my life. In the name of Jesus I pray. Amen.